Managi, S. and P. Kumar. 2018. "Inclusive Wealth Report 2018: Measuring Progress toward Sustainability." Routledge, New York, USA. Managi, S. (Eds.) 2016. "The Wealth of Nations and Regions." Routledge, New York, USA. Managi, S., and K. Kuriyama. 2016. "Environmental Economics." Routledge, New York, USA. Managi, S. (Eds.) 2015. "The Economics of Green Growth -New Indicators for Sustainable Societies." Routledge, New York, USA. Managi, S. (Eds.) 2015. "Handbook of Environmental Economics in Asia." Routledge, New York, USA. Managi, S. (Eds.) 2012. "The Economics of Biodiversity and Ecosystem Services." Routledge, New York, USA. Managi, S. 2011. "Technology, Natural Resources and Economic Growth: Improving the Environment for a Greener Future." Edward Elgar Publishing Ltd, Cheltenham, UK. Shinkuma, T. and Managi, S. 2011. "Waste and Recycling." Routledge, New York, USA. Managi, S. and Kaneko, S. 2010. "Chinese Economic Development and Environment." Edward Elgar Publishing Ltd, Cheltenham, UK. -book reviewed by Bryan Tilt, Environment and Planning C: Government and Policy 2010, 28 (3): 568- 569; Jing Cao, Journal of Environmental Policy & Planning, 2010. 12 (3): 335-337.; Zhongxiang Zhang, The China Journal 66: 217-218, 2011.; Lisa Peterskovsky, The German Journal on Contemporary Asia, 111-112, 119, 2011. Managi, S. 2008. "Technological Change and Environmental Policy: A Study of Depletion in the Oil and Gas Industry." Edward Elgar Publishing Ltd, Cheltenham, UK. Kotani, K., K. Tanaka, and S. Managi. 2018. "Which Performs Better under Trader Settings, Double Auction or Uniform Price Auction? ", Experimental Economics (forthcoming). Löschel, A., and S. Managi. 2018. “Economic Analysis of Energy Demand: Insights for Industries and Households”, Resource and Energy Economics (forthcoming). Löschel, A., B. Lutz, and S. Managi. 2018. “The Impacts of the EU ETS on Efficiency - An Empirical Analyses for German Manufacturing Firms”, Resource and Energy Economics (forthcoming). Sugiawan, Y. and S. Managi. 2018. “New Evidence of Energy-Growth Nexus from Inclusive Wealth”, Renewable & Sustainable Energy Reviews (forthcoming). Du, G., K.J. Shin, and S. Managi. 2018. “Variability in Impact of Air Pollution on Subjective Well-being”, Atmospheric Environment 183: 175-208. Du, G., L. Yuan, K.J. Shin, and S. Managi. 2018. “A Comparative Approach to Modelling Multiple Urban Land Use Changes using Tree-based Methods and Cellular Automata: The Case of Greater Tokyo Area”, International Journal of Geographical Information Science 32 (4): 757-782. Xie, J., W. Nozawa, M. Yagi, H. Fujii, and S. Managi. 2018. "Do Environmental, Social and Governance Activities Improve Corporate Financial Performance? ", Business Strategy and the Environment (forthcoming). Yagi, M., and S. Managi. 2018. "Decomposition Analysis of Corporate Carbon Dioxide and Greenhouse Gas Emissions in Japan: Integrating Corporate Environmental and Financial Performances", Business Strategy and the Environment (forthcoming). Yamaguchi, R., and S. Managi. 2018. "Backward- and Forward-Looking Shadow Prices in Inclusive Wealth Accounting: An Example of Renewable Energy Capital", Ecological Economics (forthcoming). Yuan, L., K. Shin, and S. Managi. 2018. "Subjective Well-being and Environmental Quality: The Impact of Air Pollution and Green Coverage in China", Ecological Economics 153: 124–138. Wakamatsu, M., K.J. Shin, C. Wilson, and S. Managi. 2018. "Exploring a Gap between Australia and Japan in the Economic Valuation of Whale Conservation? ", Ecological Economics 146: 397–407. Tsurumi, T., A. Imauji, and S. Managi. 2018. “Greenery and Subjective Well-being: Assessing the Monetary Value of Greenery by Type”, Ecological Economics 148: 152–169. Kurniawan, R., Y. Sugiawan, and S. Managi. 2018. "Cleaner Energy Conversion and Household Emission Decomposition Analysis in Indonesia", Journal of Cleaner Production (forthcoming). Nozawa, W., T. Tamaki, and S. Managi. 2018. “On Analytical Models of Optimal Mixture of Mitigation and Adaptation Investments”, Journal of Cleaner Production 186: 57–67. Fujii, H., K. Iwata, A. Chapman, S. Kagawa, and S. Managi. 2018. "An Analysis of Urban Environmental Kuznets Curve of CO2 Emissions: Empirical Analysis of 276 Global Metropolitan Areas", Applied Energy 228: 1561-1568. Kurniawan, R., and S. Managi. 2018. "Coal Consumption, Urbanization, and Trade Openness Linkage in Indonesia", Energy Policy 121: 576-583. Aly, E. and S. Managi. 2018. “Energy Infrastructure and Their Impacts on Societies' Capital Assets: A Hybrid Simulation Approach to Inclusive Wealth”, Energy Policy 121: 1-12. Ahmad, N., S. Derrible, and S. Managi. 2018. “A Network-based Frequency Analysis of Inclusive Wealth to Track Sustainable Development in World Countries”, Journal of Environmental Management 218: 348–354. Majiwa, E., B.L. Lee, C. Wilson, H. Fujii, and S. Managi. 2018. “A Network Data Envelopment Analysis Model of Post-harvest Handling: the case of Kenya's Rice Processing Industry”, Food Security (forthcoming). Higashida, K., T. Morita, S. Managi, and Y. Takarada. 2018. “Does Acquisition of Mineral Resources by Firms in Resource-Importing Countries Reduce Resource Prices?”, Resources Policy (forthcoming). Kurniawan, R., and S. Managi. 2018. “Linking Wealth and Productivity of Natural Capital for 140 Countries between 1990 and 2014”, Social Indicators Research (forthcoming). Kurniawan, R., and S. Managi. 2018. “Measuring Long-Term Sustainability with Shared Socioeconomic Pathways using an Inclusive Wealth Framework”, Sustainable Development (forthcoming). Fujii, H., S. Managi, R. Matousek, and A. Rughoo. 2018. "Bank Efficiency, Productivity and Convergence in EU countries: A Weighted Russell Directional Distance Model", The European Journal of Finance 28(2): 135-156. Khanal, U., C. Wilson, B. Lee, V. Hoang, and S. Managi. 2018. “Influence of Payment Modes on Farmers' Contribution to Climate Change Adaptation: Understanding Differences using a Choice Experiment in Nepal”, Sustainability Science (forthcoming). Islam, M., R. Yamaguchi, Y. Sugiawan, and S. Managi. 2018. “Valuing Natural Capital and Ecosystem Services: A Literature Review”, Sustainability Science (forthcoming). Ikeda, S., and S. Managi, and K. Takeuchi. 2018. “Future Inclusive Wealth and Human Well-being in Regional Japan: Projections of Sustainability Indices based on Shared Socioeconomic Pathways”, Sustainability Science (forthcoming). Yoshida, Y., H. Matsuda, K. Fukushi, S. Ikeda, S. Managi, and K. Takeuchi. 2018. “Assessing Local-scale Inclusive Wealth: A case study of Sado Island, Japan”, Sustainability Science (forthcoming). Kurniawan, R., and S. Managi. 2018. “Economic Growth and Sustainable Development in Indonesia: An Assessment”, Bulletin of Indonesian Economic Studies (forthcoming). Toyosada, K., T. Otani, Y. Shimizu, H. Takata, K. Sakamoto, S. Murakawa, S. Managi. 2018. “Vietnam’s Future Water Usage Model: A Controlled Living Experiment”, Journal of Water Resource and Protection 10: 204-214. Islam, M. and Managi. 2018. “Sustainable Adaptation to Multiple Water Risks in Agriculture: Evidence from Bangladesh”, Sustainability 10(6), 1734. Rajapaksa, D., M. Islam, and Managi. 2018. “Pro-Environmental Behavior: The Role of Public Perception in Infrastructure and the Social Factors for Sustainable Development”, Sustainability 10(4), 937; doi:10.3390/su10040937. Chapman, A., H. Fujii, and Managi. 2018. “Key Drivers for Cooperation toward Sustainable Development and the Management of CO2 Emissions: Comparative Analysis of Six Northeast Asian Countries”, Sustainability 10(1), 244; doi:10.3390/su10010244. Halkos, G., S. Managi, and C. Wilson. 2018. “Growth and Efficiency in Resource Economics”, Resources, Conservation and Recycling 134: A4-A5. Goeschl, T., and S. Managi. 2018. “Public in-kind Relief and Private Self-insurance”, Economics of Disasters and Climate Change (forthcoming). Noy, I., S. Managi, and S. Hallegatte. 2018. “Economics of Disasters and Climate Change – The Journal’s First Year”, Economics of Disasters and Climate Change 2(1): 1-3. Halkos, G., S. Managi, and K. Tsilika. 2018. “The Multi-layer Nature of IW data and their Dynamic Interpretation”, Economic Analysis and Policy (forthcoming). Ito, N., K. Takeuchi, and S. Managi. 2018. “Do Battery-Switching Systems Accelerate the Adoption of Electric Vehicles? A Stated Preference Study”, Economic Analysis and Policy (forthcoming). Sekitou, M., K. Tanaka, and S. Managi. 2018. “Household Electricity Demand after the Introduction of Solar Photovoltaic Systems”, Economic Analysis and Policy 57: 102-110. Tamaki, T., H. Nakamura, H. Fujii, and S. Managi. 2018. “Efficiency and Emissions from Urban Transport: Application to World City Level Public Transportation”, Economic Analysis and Policy (forthcoming). Nakamura, H., A. Uchida, and S. Managi. 2018. “Relationship between Community Sharing of New Personal Transportation and Local Residents’ Daily Life Consciousness”, Economic Analysis and Policy (forthcoming). Tamaki, T., K.J. Shin, H. Nakamura, and S. Managi. 2018. “Shadow Prices and Production Inefficiency of Mineral Resources”, Economic Analysis and Policy 57: 111-121. Morita, T., K. Yamamoto, and S. Managi. 2018. “The Relationship between School-based Career Education and Subsequent Incomes: Empirical Evidence from Japan”, Economic Analysis and Policy 58: 70-87. Sato, M., K. Kenta, and S. Managi. 2018. “Inclusive Wealth, Total Factor Productivity, and Sustainability: An Empirical Analysis”, Environmental Economics and Policy Studies (forthcoming). Rajapaksa, D., W. Athukorala, S. Managi, P. Neelawala, B. Lee, and C. Wilson. 2018. “The Impact of Cell Phone Towers on House Prices: Evidence from Brisbane, Australia”, Environmental Economics and Policy Studies 20(1): 211–224. Tolliver, C., M. Islam, K.J. Shin, and S. Managi. 2018. “The Impact of Energy Security Risks on Energy Consumption”, International Journal of Innovation and Sustainable Development 12 (3): 258-270. Fujii, H., and S. Managi. 2018. “Trends and Priority Shifts in Artificial Intelligence Technology Invention: A Global Patent Analysis”, Economic Analysis and Policy 58: 60-69. Halkos, G., S. Managi, and K. Tsilika. 2018. “Measuring Air Polluters’ Responsibility in Transboundary Pollution Networks”, Environmental Economics and Policy Studies 20 (3): 619–639. Khanal, U., C. Wilson, S. Managi, B. Lee, V. Hoang, and R. Gifford. 2018. “Psychological Inﬂuence on Survey Incentives: Valuing Climate Change Adaptation Beneﬁts in Agriculture”, Environmental Economics and Policy Studies 20 (2): 305–324. Managi, S., and M. Wakamatsu. 2017. “Pay Countries to Stop Whaling”, Nature 546, 352. Fujii, H., S. Okamoto, S. Kagawa., and S. Managi. 2017. “Decomposition of Toxicity Emission Changes on the Demand and Supply sides: Empirical Study of the US Industrial Sector”, Environmental Research Letters 12(12) 124008. Horie, S., and S. Managi. 2017. "Why Do People Stay in or Leave Fukushima? ", Journal of Regional Science 5(7): 840-857. Halkos, G., and S. Managi. 2017. "Measuring the Effect of Economic Growth on Countries' Environmental Efficiency: A Conditional Directional Distance Function Approach", Environmental and Resource Economics 68 (3):753-775. Halkos, G., and S. Managi. 2017. “Recent Advances in Empirical Analysis on Growth and Environment: Introduction”, Environment and Development Economics 22 (6): 649-657. Johnstone, N., S. Managi, M. Rodríguez, I. Haščič, H. Fujii, and M. Souchier. 2017. "Environmental Policy Design, Innovation and Efficiency Gains in Electricity Generation", Energy Economics 63: 106-115. Halkos, G., and S. Managi. 2017. “Land Use, Forest Preservation and Biodiversity in Asia”, Journal of Forest Economics 29 Part A: 1-3. Imamura, K., S. Managi, S. Saito, and T. Nakashizuka. 2017. “Abandoned Forest Ecosystem: Implications for Japan’s Oak Wilt Disease”, Journal of Forest Economics 29 Part A: 56-61. Athukorala, W., C. Wilson, and S. Managi. 2017. “Social Welfare Losses from Groundwater over-extraction for Small-scale Agriculture in Sri Lanka: Environmental concern for Land Use”, Journal of Forest Economics 29 Part A: 47-55. Fujii, H., K. Iwata, and S. Managi. 2017. “How Do Urban Characteristics Affect Climate Change Mitigation Policies?”, Journal of Cleaner Production 168: 271-278. Tamaki, T., W. Nozawa, and S. Managi. 2017. "Evaluation of the Ocean Ecosystem: Climate Change with Backstop Technologies", Applied Energy 205: 428-439. Kitamura, T., and S. Managi. 2017. "Driving Force and Resistance: Network Feature in Oil Trade", Applied Energy 208: 361-375. Kitamura, T., and S. Managi. 2017. "Energy Security and Potential Supply Disruption: A Case Study in Japan", Energy Policy 110: 90-104. Tanaka, K., M. Sekito, S. Managi, S. Kaneko, and V. Rai. 2017. "Decision-Making Governance for Purchases of Solar Photovoltaic Systems in Japan", Energy Policy 111: 75-84. Shin, K.J. and S. Managi 2017. "Liberalization of Retail Electricity Market: Consumer Satisfaction and Household Switching Behavior in Japan", Energy Policy 110: 675-685. Lee, B., C. Wilson, C.A. Pasurka, H. Fujii, and S. Managi 2017. "Sources of Airline Productivity from Carbon Emissions: An Analysis of Operational Performance under Good and Bad Outputs", Journal of Productivity Analysis 47 (3): 223-246. Wakamatsu, M., K.J. Shin, C. Wilson, and S. Managi. 2017. "Can Bargaining Resolve the International Conflict over Whaling? ", Marine Policy 81: 312-321. Onuma, H., K.J. Shin and S. Managi. 2017. “Reduction of Future Disaster Damages by Learning from Disaster Experiences”, Natural Hazards 87(3): 1435-1452. Onuma, H., L.J.. Shin and S. Managi. 2017. “Household Preparedness for Natural Disasters - Impact of disaster experience and implication for future disaster risks in Japan-”, International Journal of Disaster Risk Reduction 21: 148-158. Rajapaksa, D., M. Zhu, B. Lee, V. Hoang, C. Wilson, and S. Managi. 2017. "The Impacts of Flood Dynamics on Property Values? ", Land Use Policy 69: 317-325. Rajapaksa, D., C. Wilson, V. Hoang, B. Lee, and S. Managi. 2017. "Who Responds More to Environmental Amenities and Dis-amenities? ", Land Use Policy 62: 151-158. Tsurumi, T. and S. Managi. 2017. “Monetary Valuations of Life Conditions in a Consistent Framework: The Life Satisfaction Approach”, Journal of Happiness Studies 18(5): 1275-1303. Yamaguchi, R., and S. Managi. 2017. "New Financing for Sustainable Development: The Case for NNP- or Inclusive Wealth-Linked Bonds", The Journal of Environment & Development 26(2): 214-239. Jayarathna1,　L., R. Rajapaksa, S. Managi, W. Athukorala, B. Torgler, M.A. Garcia-Valiñas, and C. Wilson. 2017. “A GIS based Spatial Decision Support System for Analysing Residential Water Demand: A Case Study in Australia”, Sustainable Cities and Society 32: 67–77. Saito, O., S. Managi, N. Kanie, J. Kauffman, and K. Takeuchi. 2017. "Sustainability Science and Implementing the Sustainable Development Goals", Sustainability Science 12(6): 907-910. Ikeda, S., T. Tamaki, H. Nakamura, and S. Managi. 2017. "Inclusive Wealth of Regions: The Case of Japan", Sustainability Science 12(6): 991-1006. Kurniawan, R., and S. Managi. 2017. "Sustainable Development and Performance Measurement: Global Productivity Decomposition", Sustainable Development 25 (6): 639-654. Abe, K., G. Ishimura, T. Tsurumi, S. Managi, U.R. Sumaila. 2017. “Does Trade Openness Reduce a Domestic Fisheries Catch?”, Fisheries Science 83(6):897-906. Fukushima, Y., G. Ishimura, A. Komasinski, R. Omoto and S. Managi 2017. “Education and Capacity Building with Research: A possible case for Future Earth”, International Journal of Sustainability in Higher Education 18 (2): 263-276. Zhu, X., Gu, R. Wu, B., and S. Managi. 2017. “Does Hazy Weather Influence Earnings Management of Heavy-Polluting Enterprises? A Chinese Empirical Study from the Perspective of Negative Social Concerns”, Sustainability 9(12), 2296; doi:10.3390/su9122296. Fujii, H., M. Sato, and S. Managi. 2017. “Decomposition Analysis of Forest Ecosystem Services Values”, Sustainability 9(5):687. Fujii, H., and S. Managi. 2017. “Decomposition Analysis of Water Treatment Technology Patents”, Water 9(11), 860. Fujii, H., and S. Managi. 2017. “Wastewater Management Efficiency and Determinant Factors in the Chinese Industrial Sector from 2004 to 2014”, Water 9(8), 586. Toyosada, K., T. Otani, Y. Shimizu, and S. Managi. 2017. “Water Quality Study on the Hot and Cold Water Supply Systems at Vietnamese Hotels”, Water 9(4):251. Rajapaksa, D., M. Islam, and S. Managi. 2017. "Natural Capital Depletion: The Impact of Natural Disasters on Inclusive Growth", Economics of Disasters and Climate Change 1 (3): 233-244. Munro, A., and S. Managi. 2017. "Going Back: Radiation and Intentions to Return amongst Households Evacuated after the Great Tohoku Earthquake", Economics of Disasters and Climate Change 1 (1): 77-93. Noy, I., S. Managi, and S. Hallegatte. 2017. "Disasters and Climate Change Economics: - a New Journal for a Changing World", Economics of Disasters and Climate Change 1 (1): 1-3. Yoshida, Y., K. Tanaka, and S. Managi. 2017. “Which Dynamic Pricing Rule is Most Preferred by Consumers?-Application of Choice Experiment”, Journal of Economic Structures 6 (4) DOI: 10.1186/s40008-017-0064-0. Goonetilleke A., A. Liu, S. Managi, C. Wilson, T. Gardner, E.R. Bandala, L. Walker, J. Holden, M.A. Wibowo, S. Suripin, H. Joshi, D.M. Bonotto, and D. Rajapaksa. 2017. “Stormwater Reuse, A Viable Option: Fact or Fiction?”, Economic Analysis and Policy 56: 14-17. Sugiawan, Y., M. Islam, and S. Managi. 2017. “Global Marine Fisheries with Economic Growth”, Economic Analysis and Policy 55: 158-168. Halkos, G., S. Managi, and K. Tsilika. 2017. “Evaluating a Continent-wise Situation for Capital Data”, Economic Analysis and Policy 55: 57-74. Managi, S., and D. Guan. 2017. “Multiple Disasters Management: Lessons from the Fukushima Triple Events”, Economic Analysis and Policy 53: 114-122. Halkos, G., S. Managi, and A. Zisiadou. 2017. "Analyzing the Determinants of Terrorist Attacks and their Market Reactions", Economic Analysis and Policy 54: 57-73. Managi, S., Goonetilleke, A., and C. Wilson. 2016. “Embed Stormwater Use in City Planning”, Nature 532 (7597): 37. Lee, B., C. Wilson, C.A. Pasurka, H. Fujii, and S. Managi 2016. "Sources of Airline Productivity from Carbon Emissions: An Analysis of Operational Performance under Good and Bad Outputs", Journal of Productivity Analysis (forthcoming). Sugiawan, Y., and S. Managi 2016. "The Environmental Kuznets Curve in Indonesia: Exploring the Potential of Renewable Energy", Energy Policy 98: 187?198. Halkos, G., and S. Managi. 2016. "Measuring the Effect of Economic Growth on Countries' Environmental Efficiency: A Conditional Directional Distance Function Approach", Environmental and Resource Economics (forthcoming). Yamaguchi, R., and S. Managi. 2016. "A New Financial Instrument for Sustainability: The Case for Green NNP- or Inclusive Wealth-linked Bonds", Journal of Environment & Development (forthcoming). Fujii, H., S. Managi, R. Matousek, and A. Rughoo. 2016. "Bank Efficiency, Productivity and Convergence in EU countries: A Weighted Russell Directional Distance Model", The European Journal of Finance (forthcoming). Jayarathna1,　L., R. Rajapaksa, S. Managi, W. Athukorala, B. Torgler, M.A. Garcia-Valinas, and C. Wilson. 2016. “A GIS based Spatial Decision Support System for Analysing Residential Water Demand: A Case Study in Australia”, Sustainable Cities and Society (forthcoming). Kumar, S. and S. Managi. 2016. “Carbon Sensitive Productivity, Climate and Institutions”, Environment and Development Economics 21 (1): 109-133. Sakamoto, T., and S. Managi. 2016. "New Evidence of Environmental Efficiency on the Export Performance", Applied Energy 185: 615?626. Sakamoto, T., K. Takase, R. Matsuhashi, and S. Managi. 2016. "Baseline of the Projection under a Structural Change in Energy Demand", Energy Policy 98: 274?289. Fujii, H., and S. Managi. 2016. "An Evaluation of Inclusive Capital Stock for Urban Planning", Ecosystem Health and Sustainability 2 (10) (forthcoming). Onuma, H., L.J.. Shin and S. Managi. 2016. “Household Preparedness for Natural Disasters - Impact of disaster experience and implication for future disaster risks in Japan-”, International Journal of Disaster Risk Reduction (forthcoming). Rajapaksa, D., C. Wilson, S. Managi, V. Hoang, and B. Lee. 2016. “Flood Risk Information, Actual Floods and Property Values: A Quasi-Experimental Analysis”, Economic Record 92 (S1): 52?67. Fujii, H., J. Cao and S. Managi. 2016. “Firm-level Environmentally Sensitive Productivity and Innovation in China”, Applied Energy 184: 915?925. Fujii, H. and S. Managi. 2016. “Research and Development Strategy for Environmental Technology in Japan: A Comparative Study of the Private and Public Sectors”, Technological Forecasting & Social Change 112: 293-302. Tamaki, T., H. Nakamura, H. Fujii, and S. Managi. 2016. “Efficiency and Emissions from Urban Transport: Application to World City Level Public Transportation”, Economic Analysis and Policy (forthcoming). Nakamura, H., A. Uchida, and S. Managi. 2016. “Relationship between Community Sharing of New Personal Transportation and Local Residents’ Daily Life Consciousness”, Economic Analysis and Policy (forthcoming). Yagi, M. and S. Managi. 2016. “Demographic Determinants of Car Ownership in Japan”, Transport Policy 50: 37-53. Imamura, K., Takano, K.T., Mori, N., Nakashizuka, T., and S. Managi. 2016 “Attitudes toward Disaster-prevention risk in Japanese Coastal Areas: Analysis of Civil Preference”, Natural Hazards 82 (1): 209-226. Nakada, T., K.J. Shin, and S. Managi 2016. "The Effect of Demand Response on Purchase Intention of Distributed Generation: Evidence from Japan", Energy Policy 94: 307-316. Islam, M., K. Kanemoto, and S. Managi. 2016 “Trade Openness and Sector Trade on Embodied Greenhouse Gases Emissions and Air Pollutants”, Journal of Industrial Ecology 20 (3): 494-505. Shin, K.J., R. Nakakido, S. Horie, and S. Managi 2016. "The Effects of Community Attachment and Information Seeking on Displaced Disaster Victims' Decision Making", PLOS ONE 11(3): e0151928. doi:10.1371/journal.pone.0151928. Fujii, H. and S. Managi. 2016. “Economic Development and Multiple Air Pollutant Emissions from the Industrial Sector”, Environmental Science and Pollution Research 23 (3): 2802-2812. Tsurumi, T. and S. Managi. 2016. “Monetary Valuations of Life Conditions in a Consistent Framework:the Life Satisfaction Approach”, Journal of Happiness Studies (forthcoming). Fukushima, Y., G. Ishimura, A. Komasinski, R. Omoto and S. Managi 2017. “Education and Capacity Building with Research: A possible case for Future Earth”, International Journal of Sustainability in Higher Education 18 (forthcoming). Iwata, K., Managi, S. 2016. "Can Land Use Regulations and Taxes Help Mitigate Vehicular CO2 Emissions? An Empirical Study of Japanese Cities" Urban Policy and Research 34 (4): 356-372. Tanaka, T., Y. Kurakawa, E. Sawada, K. Akao, S. Managi. 2016. "Energy Conservation and Risk of Electric Outage: Laboratory Experimental Study”, Journal of Energy Engineering (forthcoming). Behling, N., M.C. Williams, and S. Managi. 2016. "Japan Has Great Expectations for a Hydrogen Society”, ECS Transactions 71(1): 1-12. Managi, S. and Sharma, S. 2016. “Economics of Crises and Disasters”, Singapore Economic Review 61 (1) 1-10. Matsuki, Y. and S. Managi. 2016. "The Impact of Natural Disasters on Manufacturing: Plant-level Analysis for the Great Hanshin-Awaji Earthquake”, Singapore Economic Review 61 (1): 196-217. Tanaka, K. and S. Managi. 2016. "Impact of a Disaster on Land Price: Evidence from Fukushima Nuclear Power Plant Accident”, Singapore Economic Review 61 (1): 60-74. Sanaei, M., S. Horie, and S. Managi. 2016. "Job Opportunity and Ownership Status: Return Decision after the Great East Japan Earthquake and Tsunami”, Singapore Economic Review 61 (1): 162-177. Barros, C.P., and S. Managi. 2016. “French Nuclear Electricity Plants: Productivity and Air Pollution”, Energy Sources, Part B: Economics, Planning, and Policy 11 (8): 718?724. Yagi, M. and S. Managi. 2016 “Time-period and Industry Heterogeneity of Innovation Activity in Japan”, Economic Analysis and Policy 50: 100-119. Islam, M., K. Kotani, and S. Managi. 2016 “Climate Perception and Flood Mitigation Cooperation: A Bangladesh Case Study”, Economic Analysis and Policy 49: 117-133. Yang, J., Managi, S. 2016. "The Dematerialization of Nature Resource and Resource Efficiency during 1990 to 2010" Global Environmental Research 19 (2): 199-206. Halkos, G., and S. Managi 2016 Special Issue on “Growth and the Environment”, Environmental Economics and Policy Studies 18 (3): 273-276. Managi, S., Z. Zhang and S. Horie 2016 “A Real Options Approach to Environmental R&D Project Evaluation”, Environmental Economics and Policy Studies 18 (3): 359-394. Crespi, F., M. Mazzanti, and S. Managi 2016 “Green Growth, Eco-Innovation and Sustainable Transitions”, Environmental Economics and Policy Studies 18 (2): 137-141. Fujii, H., A.G. Assaf, S. Managi and R. Matousek. 2016. “Did the Financial Crisis Affect Environmental Efficiency? Evidence from the Japanese Manufacturing Sector”, Environmental Economics and Policy Studies 18 (2): 159-168. Fujii, H., S. Managi 2016 “The Trend of Corporate Environmental Management Study and Database”, Environmental Economics and Policy Studies 18 (2): 265-272. Sakamoto. T., and S. Managi. 2016. "Optimal Economic Growth and Energy Policy: Analysis of Nonrenewable and Renewable Energy”, Environmental Economics and Policy Studies 18 (1): 1-19. Dasgupta, P., A. Duraiappah, S. Managi, E. Barbier, R. Collins, B. Fraumeni, H. Gundimeda, G. Liu, and K. J. Mumford. 2015. “How to Measure Sustainable Progress”, Science 13 (35): 748. Fujii, H. and S. Managi. 2015. “Optimal Production Resource Reallocation for CO2 Emissions Reduction in Manufacturing Sectors”, Global Environmental Change 35: 505-513. Oikawa, K. and S. Managi. 2015. “R&D in Clean Technology: A Project Choice Model with Learning”, Journal of Economic Behavior & Organization 117: 175-195. Chen, P-C., Yu, M-M., Chang, C-C., Hsu, S-H., and S. Managi. 2015. “The Enhanced Russell-Based Directional Distance Measure with Undesirable Outputs: Numerical Example Considering CO2 Emissions", Omega - The International Journal of Management Science 53: 30-40. Tsurumi, T. and S. Managi. 2015. “Environmental Value of Green Spaces in Japan: An Application of the Life Satisfaction Approach”, Ecological Economics 120: 1-12. Yagi, M., H. Fujii, V. Hoang, and S. Managi. 2015. “Environmental Efficiency of Energy, Materials, and Emissions”, Journal of Environmental Management 161: 206-218. Tsurumi, T., S. Managi, and A. Hibiki. 2015. "Do Environmental Regulations Increase Bilateral Trade Flows?”, The B.E. Journal of Economic Analysis & Policy 15 (4): 1549-1577. Ito, Y., S. Managi. 2015. “The Potential of Alternative Fuel Vehicles: A Cost-Benefit Analysis”, Research in Transportation Economics 50: 39-50. Huang, W., S. Cui, Y. Hashimoto, M. Yarime, and S. Managi. 2015. “Improving Urban Metabolism Study for Sustainable Urban Transformation”, Environmental Technology & Innovation 4: 62-72. Fujii, H., J. Cao, Managi, S. 2015. "Decomposition of Productivity considering Multi-Environmental Pollutants in Chinese Industrial Sector" Review of Development Economics 19 (1): 75-84. Kagohashi, K., T. Tsurumi, and S. Managi. 2015. “The Effects of International Trade on Water Use”, PLOS ONE 10(7): e0132133. doi:10.1371/journal. Chen, P-C., Yu, M-M., Chang, C-C., Hsu, S-H., and S. Managi. 2015. “Non-radial Directional Performance Measurement with Undesirable Outputs: An Application to OECD and Non-OECD Countries", International Journal of Information Technology & Decision Making 14 (3): 481-520. Kumar, S., Fujii, H. and S. Managi. 2015. "Substitute or Complement? Assessing Renewable and Nonrenewable Energy in OECD Countries”, Applied Economics 47 (14): 1438-1459. Fujii, H. K. Edamura, K. Sumikura, Y. Furusawa, N. Fukuzawa, and S. Managi. 2015. "How Enterprise Strategies are Related to Innovation and Productivity Change: An Empirical Study of Japanese Manufacturing Firms”, Economics of Innovation and New Technology 24 (3): 248-262. Sakamoto, T. and S. Managi. 2015. "Energy Pricing Impact on Domestic Economy under Recent Climate Action”, Economic Analysis and Policy 48: 150-162. Behling, N., M.C. Williams, and S. Managi. 2015. "Fuel Cells and the Hydrogen Revolution: Analysis of a Strategic Plan in Japan”, Economic Analysis and Policy 48: 204-221. Morita, T. and S. Managi. 2015. "Consumers’ Willingness to Pay for Electricity after the Great East Japan Earthquake”, Economic Analysis and Policy 48: 82-105. Hatase, K.. and Managi, S. 2015. "Increase in Carbon Prices: Analysis of Energy-Economy Modeling”, Environmental Economics and Policy Studies 17 (2): 241-262. Barros, C.P., H. Fujii and S. Manag. 2015. “How Scale and Ownership are related to Financial Performance? A Productivity Analysis of the Chinese Banking Sector”, The Journal of Economic Structures 4:16 doi:10.1186/s40008-015-0026-3. Managi, S. and G. Halkos. 2015. "Production Analysis in Environmental, Resource, and Infrastructure Evaluation”, The Journal of Economic Structures 4:15 doi:10.1186/s40008-015-0025-4. Halkos, G., Managi, M. and N. Tzeremes. 2015. "The Effect of Natural and Man-made Disasters on Countries' Production Efficiency”, The Journal of Economic Structures 4 (10) DOI 10.1186/s40008-015-0019-2. Cao, H., Fujii, H. and S. Managi. 2015. "A Productivity Analysis Considering Environmental Pollution and Diseases in China”, The Journal of Economic Structures 4 (4) DOI: 10.1186/s40008-015-0012-9. Kagawa. S., Hashimoto, S. and Managi, S. 2015. "Special issue: Studies on Industrial Ecology”, Environmental Economics and Policy Studies 17 (3): 361-368. Yang. J., Managi, S., and Sato, M. 2015. "The Effect of Institutional Quality on National Wealth: An Examination using Multiple Imputation Method”, Environmental Economics and Policy Studies 17 (3): 431-453. Fuiji, H., S. Managi., M. Matousek. 2014. “Indian Bank Efficiency and Productivity Changes with Undesirable Outputs: A disaggregated approach”, Journal of Banking and Finance 38 (1): 41-50. Managi, S., Hibiki, A., and Shimane, T. 2014. “Efficiency or Technology Adoption: A Case Study in Waste- Treatment Technology”, Resource and Energy Economics 36 (2): 586-600. Higashida, K., Managi, S. 2014. "Determinants of Trade in Recyclable Wastes: Evidence from Commodity-Based Trade of Waste and Scrap" Environment and Development Economics 19 (2): 250-270. Uchida, H., Y. Onozaka, T. Morita, and S. Managi. 2014. “Demand for Ecolabeled Seafood in Japanese Market: A Conjoint Analysis of the Impact of Information and Interactions with Other Labels”, Food Policy 44 (1): 68-76. Taniakwa, H., S. Managi, and C. Lwin. 2014. “Estimates of Lost Material Stock of Buildings and Roads Due to the Great East Japan Earthquake and Tsunami”, Journal of Industrial Ecology 18 (3): 421-431. Iwata, K., Y. Ito, and S. Managi. 2014. “Public and Private Mitigation for Natural Disasters in Japan”, International Journal of Disaster Risk Reduction 7: 39-50. Kotani, K., K. Tanaka and S. Managi, 2014. “Cooperative Choice and its Framing Effect under Threshold Uncertainty in a Provision Point Mechanism”, Economics of Governance 15(4): 329-353. Higashida, K., K. Tanaka and S. Managi, 2014. “A Laboratory Assessment of Choices of Vessel Sizes under Individual Transferable Quotas Regimes”, Australian Journal of Agricultural and Resource Economics 58 (3): 353-373. Zhang, Z., H. Fujii and S. Managi, 2014. “How Does Commuting Behavior Change Due to Incentives? An Empirical Study of the Beijing Subway System”, Transportation Research Part F: Traffic Psychology and Behaviour 24: 17-26. Mensi, W., M. Beljid, and S. Managi. 2014. "Structural Breaks and the Time-varying levels of Weak-form Efficiency in Crude Oil Markets: Evidence from the Hurst Exponent and Shannon Entropy Methods", International Economics 140: 89-106. Barros, C.P., A. Ibiowie and S. Managi. 2014. “Nigeria’ Power Sector: Analysis of Productivity”, Economic Analysis and Policy 44: 65-73. Barros, C.P. and S. Managi. 2014. “Productivity Change of UK Airports”, International Journal of Logistics Economics and Globalisation 6 (1): 22-41. Barros, C.P., S. Managi, R. Matousek, and B.S. Sergi. 2014. “The Integration of Baltic Banks into the EU Banking Market: Evidence from the Pre-crisis Period”, Journal of Finance and Management in Public Services 13 (1). Miyamoto, T., and S. Managi, S. 2014. “Intra-Industry Spillover Effects of ISO 14001 Adoption in Japan”, International Journal of Ecological Economics & Statistics 34 (3): 20-36. Yagi, M., S. Managi and S. Kaneko, 2014. “Water Use and Wastewater Discharge of Industrial Sector in China”, International Journal of Ecological Economics & Statistics 32 (1): 33-43. Kanie, N., N. Abe, M. Iguchi, J. Yang, N. Kabiri, Y. Kitamura, S. Managi, I. Miyazawa, S. Olsen, T. Tasaki, T. Yamamoto, T. Yoshida and Y. Hayakawa. 2014. "Integrating Sustainable Development Goals (SDGs) into a Post-2015 Development Agendas”, Sustainability 6(4), 1761-1775. Tsurumi, T., Managi, S. 2014. "The Effect of Trade Openness on Deforestation: Empirical Analysis for 142 Countries”, Environmental Economics and Policy Studies 16 (4): 305-324. Kanie. N., Managi, S. 2014. "Stimulating 2015 Climate Deal: Governance of Low Carbon Technology Transfer”, Environmental Economics and Policy Studies 16 (2): 111-113. Miyama, E., Managi, S. 2014. "Global Environmental Emissions Estimate: Application of Multiple Imputation”, Environmental Economics and Policy Studies 16 (2): 115-135. Akao, K., S. Managi. 2013. “A Tradable Permit System in an Intertemporal Economy”, Environmental and Resource Economics 55 (3): 309-336. Tanaka, K., S. Managi. 2013. “Measuring Productivity Gains from Deregulation of the Japanese Urban Gas Industry”, The Energy Journal 34 (4): 181-198. Kagawa, S., Hubacek, K., Kataoka, M., Nansai, K., Managi, S., Suh, S. and Kudoh, Y. 2013. “Better Cars or Older Cars? : Assessing CO2 Emission Reduction Potential of Passenger Vehicle Replacement Programs”, Global Environmental Change 23 (6):1807-1818. Barros, C.P., Chen, Z., Managi, S., Antunes, O.S. 2013. "Examining the Cost Efficiency of Chinese Hydroelectric Companies Using a Finite Mixture Model" Energy Economics 36(1): 511-517. Ito, Y., S. Managi, and A. Matsuda. 2013. “Performances of Socially Responsible Investment and Environmentally Friendly Funds”, Journal of the Operational Research Society 64: 1583-1594. Ito, N., K. Takeuchi, S. Managi 2013. “Willingness-to-pay for Infrastructure Investments for Alternative Fuel Vehicles”, Transportation Research Part D: Transport and Environment 18 (1): 1-8. Fujii, H. and S. Managi. 2013. “Decomposition of Toxic Chemical Substance Management in three U.S. Manufacturing Sectors from 1991 to 2008”, Journal of Industrial Ecology 17 (3): 461-471. Managi, S., and T. Okimoto. 2013. “Does the Price of Oil Interact with Clean Energy Prices in the Stock Market?”, Japan and the World Economy 27: 1-9. Shoyama, K., S. Managi, and Y. Yamagata. 2013. “Public Preferences for Biodiversity Conservation and Climate-Change Mitigation: a Choice Experiment using Ecosystem Services Indicators”, Land Use Policy 34: 282-293. Fujii, H., and S. Managi. 2013. “Which Industry is Greener? An Empirical Study of Nine Industries in OECD Countries”, Energy Policy 57: 381-388. Baskaran, R., S. Managi, and M. Bendig. 2013. “Public Perspective on the Adoption of Microgeneration Technologies in New Zealand: A Multivariate Probit Approach”, Energy Policy 58: 177-188. Fujii, H. and S. Managi. 2013. “Decomposition Analysis of Air Pollution Abatement in China: Empirical Study for Ten Industrial Sectors from 1998 to 2009”, Journal of Cleaner Production 59 (15): 22-31. Bhattacharya, T.R, S. Managi. 2013. “Contributions of the Private Sector to Global Biodiversity Protection: Case Study of the Fortune 500 Companies”, International Journal of Biodiversity Science, Ecosystem Services & Management 9(1): 65-86. Fujii, H., and S. Managi. 2013. “Determinants of Eco-efficiency in the Chinese Industrial Sector”, Journal of Environmental Sciences 25: S20-S26. Fujii, H., K. Iwata, S. Kaneko, S. Managi. 2013. “Corporate Environmental and Economic Performances of Japanese Manufacturing Firms: Empirical Study for Sustainable Development”, Business Strategy and Environment 22 (3): 187-201. Aruga, K. and S. Managi, S. 2013. “Linkage among the U.S. Energy Futures Markets”, International Journal of Global Energy Issues 36 (1): 13-26. Kaneko, S. H. Fujii, and S. Managi, S. 2013. “Wastewater Pollution Abatement in China: A Comparative Study of fifteen Industrial Sectors from 1998 to 2010”, Journal of Environmental Protection 4, 290-300. Ishinabe, N., H. Fujii, S. Managi. 2013. “The True Cost of Greenhouse Gas Emissions: Analysis of 1,000 Global Companies”, PLoS ONE 8(11): e78703. Barros, C.P. and S. Managi, S. 2013. “Do Pollutions Deter Foreign Direct Investment in China?”, International Journal of Ecological Economics & Statistics 30(3):37-45. Kerstens., K., S. Managi. 2012. "Total Factor Productivity Growth and Convergence in the Petroleum Industry: Empirical Analysis Testing for Convexity" International Journal of Production Economics 139 (1): 196-206. Barros, C.P., S. Managi, and R. Matousek. 2012. "The Technical Efficiency of the Japanese Banks: Non-Radial Directional Performance Measurement with Undesirable Output” Omega - The International Journal of Management Science 40 (1): 1-8. Kumar, S., Managi, S. and A. Matsuda, S. 2012. "Stock Prices of Clean Energy Firms, Oil and Carbon Markets: A Vector Autoregressive Analysis" Energy Economics 34 (1): 215-226. Managi, S., and T. Okimoto, and A. Matsuda. 2012. “Do Socially Responsible Investment Indexes Outperform Conventional Indexes?, Applied Financial Economics 22 (18): 1511-1527. Kumar, S. and S. Managi, S. 2012. “Productivity and Convergence in India: A State-Level Analysis”, Journal of Asian Economics 23 (5): 548-559. D’Amato, A., S. Managi, M. Mazzanti. 2012. “Economics of Waste Management and Disposal: Decoupling, Policy Enforcement and Spatial factors”, Environmental Economics and Policy Studies 14 (2): 323-325. Nakano, M. and S. Managi, S. 2012. “Waste Generations and Efficiency Measures in Japan”, Environmental Economics and Policy Studies 14 (2): 327-339. Numata, D. and S. Managi, S. 2012. “Demand for Refilled Reusable Products”, Environmental Economics and Policy Studies 14 (2): 421-436. Shinkuma, T. and S. Managi, S. 2012. “Enforcement Leverage of a Licensing System in Waste Management, Environmental Economics and Policy Studies 14(2):123-145. Fujii, H. and S. Managi, S. 2012. “Productive Inefficiency Analysis and Toxic Chemical Substances in U.S. and Japanese Manufacturing Sectors" Asian Business & Management 11 (3): 291-310. Fujii, H., S. Managi, S. Kaneko. 2012. "A Water Resource Efficiency Analysis of the Chinese Industrial Sector”, Environmental Economics 3(3): 82-92. Aruga, K., Managi, S. 2012. "Testing the Effects of the Japanese Vehicle Emission-control Law on the International Palladium Futures Market”, Economics Bulletin 32 (2): 1198-1207. Shinkuma, T. and S. Managi, S. 2011. "A License Scheme: An Optimal Waste Management Policy under Asymmetric Information" Journal of Regulatory Economics 39 (2): 143-168. Kumar, S., S. Managi. 2011. Non-Separability and Substitutability among Water Pollutants: Evidence from India, Environment and Development Economics 16 (6): 709-733. Tanaka K., S. Managi, K. Kondo. K. Masuda, Y. Yamamoto. 2011. "Potential Climate Effect on Japanese Rice Productivity" Climate Change Economics 2 (3): 237-255. Yagi, M. and S. Managi, S. 2011. "Catch Limits, Capacity Utilization and Cost Reduction in Japanese Fishery Management" Agricultural Economics 42 (5): 577-592. Fujii, H., Managi, S., and H. Kawahara, S. 2011. “The Pollution Release and Transfer Register System in the U.S. and Japan: An Analysis of Productivity" Journal of Cleaner Production 19 (12): 1330-1338. Barros, C.P., Managi, S. and Y. Yoshida. 2011. “Heterogeneity on the Technical Efficiency in Japanese Airports" The Singapore Economic Review 56 (4): 523-534. Aruga, K. and S. Managi. 2011. “Testing the International Linkage in the Platinum-group Metal Futures Markets" Resources Policy 36 (4): 339-345. Aruga, K. and S. Managi. 2011. “Price Linkages in the Copper Futures, Primary, and Scrap Markets" Resources, Conservation & Recycling 56 (1): 43-47. Hibki, A. and S. Managi. 2011. " Does the Housing Market Respond to Information Disclosure? : Effects of Toxicity Indices in Japan" Journal of Environmental Management 92 (1): 165-171. Fukuyama, H., Yoshida, Y., and S. Managi, S. 2011. “Modal Choice between Air and Rail: A Social Efficiency Benchmarking Analysis that considers CO2 Emissions" Environmental Economics and Policy Studies 13 (2): 89-102. Karemera, D., Managi, S., Reuben, L., and Spann, O. 2011. "The Impacts of Exchange Rate Volatility on Vegetable Trade Flows" Applied Economics 43 (13): 1607-1616. Assaf, A., Barros, C.P., and S. Managi, S. 2011. "Cost Efficiency of Japanese Steam Power Generation Companies: A Bayesian Comparison of Random and Fixed Frontier Models" Applied Energy 88 (4): 1441-1446. Aruga, K. and S. Managi. 2011. “Tests on Price linkage between the U.S. and Japanese Gold and Silver Futures Markets” Economics Bulletin 31(2): 1038-1046. Hibiki, A. and S. Managi. 2010. "Environmental Information Provision, Market Valuation and Firm Incentives: Empirical Study on Japanese PRTRs." Land Economics 86 (2): 382-393. Fujii, H., Kaneko, S., Managi, S. 2010. "Changes in Environmentally Sensitive Productivity and Technological Modernization in China’s Iron and Steel Industry in the 1990s”, Environmental and Development Economics 15 (4): 485-504. Tsurumi, T. and S. Managi. 2010. "Does Energy Substitution Affect Carbon Dioxide Emissions-Income Relationship?" Journal of The Japanese and International Economies24(4): 540-551. Managi, S. 2010. “Productivity Measures and Effects from Subsidies and Trade: An Empirical Analysis for Japan’s Forestry" Applied Economics 42 (30): 3871-3883. Kumar, S. and S. Managi. 2010. "Sulfur Dioxide Allowances: Trading and Technological Progress" Ecological Economics 69 (3): 623-631. Kumar, S. and S. Managi. 2010. "Environment and Productivities in Developed and Developing Countries: The Case of Carbon Dioxide and Sulfur Dioxide" Journal of Environmental Management 91 (7): 1580-1592. Shinkuma, T. and S. Managi. 2010. "On the Effectiveness of a License Scheme for E-waste Recycling: The Challenge of China and India " Environmental Impact Assessment Review 30 (4): 262-267. Barros, C.P., Managi, S. and Y. Yoshida. 2010. "Productivity Growth and Biased Technological Change in Japanese Airports" Transport Policy 17 (4): 259-265. Tsurumi, T., Managi, S. 2010. "Decomposition of the Environmental Kuznets Curve: Scale, Technique, and Composition Effects”, Environmental Economics and Policy Studies 11 (1): 19-36. Nakano, M. and Managi, S. 2010. "The Productivity Analysis with CO2 Emissions in Japan" Pacific Economic Review15 (5): 708-718. Barros, C.P., Managi, S. and Y. Yoshida. 2010. "Technical Efficiency, Regulation, and Heterogeneity in Japanese Airports" Pacific Economic Review 15 (5): 685-695. Kumar, S. and S. Managi. 2010. "Service Quality and Performance Measurement: Evidence from the Indian Water Sector" International Journal of Water Resources Development26 (2): 161-179. Managi, S. and S.M. Bwalya. 2010. "Foreign Direct Investment and Technology Spillovers in Sub-Saharan Africa" Applied Economics Letters 17(6): 605-608. Managi., S., Hibki, A. and T. Tsurumi 2009. "Does Trade Openness Improve Environmental Quality?" Journal of Environmental Economics and Management 58 (3): 346-363. Kumar, S. and S. Managi. 2009. "Energy Price-Induced and Exogenous Technological Change: Assessing the Economic and Environmental Outcomes" Resource and Energy Economics 31 (4) 334-353. Managi, S. and S. Kumar. 2009. "Trade-Induced Technological Change: Analyzing Economic and Environmental Outcomes " Economic Modelling 26(3): 721-732. Managi, S. and S. Kaneko. 2009. "Environmental Performance and Returns to Pollution Abatement in China" Ecological Economics 68(6): 1643-1651. Kumar, S. and S. Managi. 2009. "Compensation for Environmental Services and Intergovernmental Fiscal Transfers: The Case of India" Ecological Economics 68 (12): 3052-3059. Rock, M., J.T. Murphy, R. Rasiah, P. van Seters, and S. Managi. 2009. "A Hard Slog, not a Leap frog: Globalization and Sustainability Transitions in Developing Asia" Technological Forecasting and Social Change 76(2): 241-254. Barros, C.P. and S. Managi. 2009. "Regulation, Pollution and Heterogeneity in Japanese Steam Power Generation Companies" Energy Policy 37(8): 3109-3114. Barros, C.P., and S. Managi. 2009. "Productivity Assessment of Angola's Oil Blocks" Energy 34 (11): 2009-2015. Barros, C.P., S. Managi, and R. Matousek. 2009. "Productivity Growth and Biased Technological Change: Credit Banks in Japan" Journal of International Financial Markets, Institutions & Money 19 (5) 924-936. Kaneko, S. and S. Managi, H. Fujii, and T. Tsurumi. 2009. "Does an Environmental Kuznets Curve for Waste Pollution Exist in China?." International Journal of Global Environmental Issues 9(1/2): 4-19. Tsurumi, T. and S. Managi. 2009. "World Emissions and Economic Growth: Application of Nonparametric Methods." International Journal of Global Environmental Issues 9(1/2): 69-83. Managi, S. Y. Yamamoto, H. Iwamoto, and K. Masuda. 2008. “Valuing the Influence of Underlying Attitudes and the Demand for Organic Milk in Japan." Agricultural Economics 39(3): 339-348. Managi, S. and P.R. Jena. 2008. "Environmental Productivity and Kuznets Curve in India" Ecological Economics 65, 2(1): 432-440. Barros , C.P., Ibiwoye, A., and Managi, S. 2008. "Productivity Change of Nigerian Insurance Companies: 1994-2005" African Development Review 20(3): 505-528. Managi, S. and S. Kaneko. 2008. "Determinants of Plant Dynamics: Empirical Analysis of the Manufacturing Sector in Indonesia, 1990-2000." World Review of Entrepreneurship, Management and Sustainable Development 4 (4): 273-290. Nakano, M. and Managi, S. 2008. "Regulatory Reforms and Productivity: An Empirical Analysis of the Japanese Electricity Industry" Energy Policy 36 (1): 201-209. Kotani, K., S. Managi, and K. Tanaka. 2008. "Further Investigations of Framing Effects on Cooperative Choices in a Provision Point Mechanism." Economics Bulletin, 3 (51): 19. Akao, K. and S. Managi. 2007. "The Feasibility and Optimality of Sustainable Growth under Materials Balance." Journal of Economic Dynamics and Control 31 (11): 3778-3790. Sakai, K., S. Managi, N. Vitanov, and K. Demura. 2007. "Transition of Chaotic Motion to Limit Cycle by Intervention of Economic Policy: An Empirical Analysis." Nonlinear Dynamics, Psychology, & Life Sciences 11 (2): 253-265. Managi, S. 2007. "Maritime Shipping Industry and Productivity in Japan" Maritime Economics and Logistics 9 (4): 291-301. Vitanov, N., Sakai, K., I.P. Jordanov, S. Managi, and K. Demura. 2007. "Analysis of a Japan Government Intervention on the Domestic Agriculture Market." Physica A: Statistical Mechanics and its Applications 382 (1): 330-335. Managi, S. and P.R. Jena 2007. "Productivity and Environment in India." Economics Bulletin 17 (1): 1-14. Syahyadia, S. Kaneko, and S. Managi. 2007. "Income Inequality Changes during periods of Economic Recovery in Indonesia." Empirical Economics Letters 6(4): 307-313. Managi, S., J.J. Opaluch, D. Jin, and T.A. Grigalunas. 2006 " Stochastic Frontier Analysis of Total Factor Productivity in the Offshore Oil and Gas Industry." Ecological Economics 60 (1): 204-215. Managi, S. 2006. "Are There Increasing Returns to Pollution Abatement? Empirical Analytics of the Environmental Kuznets Curve in Pesticides." Ecological Economics 58 (3): 617-636. Managi, S. and S. Kaneko. 2006. "Productivity of Market and Environmental Abatement in China." Environmental Economics and Policy Studies 7 (4): 459-470. Managi, S. and S. Kaneko. 2006. "Economic Growth and Environment in China: an Empirical Analysis of Productivity." International Journal of Global Environmental Issues 6 (1): 89-133. Managi, S. 2006. "Environment, Economic Growth, and the International Trade in High-and Low-Income Countries." International Journal of Global Environmental Issues 6(4): 320-330. Managi, S. 2006. “Pollution, Natural Resource and Economic Growth: an Econometric Analysis” International Journal of Global Environmental Issues 6 (1): 73-88. Akao, K. and S. Managi. 2006. " Endogenous Growth with Material Balance Principle." International Journal of Global Environmental Issues 6 (1): 4-28. Managi, S., J.J. Opaluch, D. Jin, and T.A. Grigalunas. 2006. "Alternative Innovation Indexes in the Offshore Oil and Gas Industry." Applied Economics Letters 13 (10): 659-663. Managi, S., J.J. Opaluch, D. Jin, and T.A. Grigalunas. 2005. "Environmental Regulations and Technological Change in the Offshore Oil and Gas Industry." Land Economics 81 (2): 303-319. Managi, S., J.J. Opaluch, D. Jin, and T.A. Grigalunas. 2005. "Technological Change and Petroleum Exploration in the Gulf of Mexico." Energy Policy 33 (5): 619-632. Managi, S. and D. Karemera 2005. " Trade and Environmental Damage in U.S. Agriculture." World Review of Science, Technology and Sustainable Development 2(2): 168-190. Managi, S. and D. Karemera 2005. "The Effects of Environment & Technology on Agricultural Export." International Journal of Agricultural Resources, Governance and Ecology 4 (1): 45-63. Managi, S., H. Kawajiri, and T. Tsurumi. 2005. “Regional Economic Integration and Trade: An Empirical Evaluation of NAFTA and EU." International Journal of Agricultural Resources, Governance and Ecology 4 (1): 1-23. Managi, S., J.J. Opaluch, D. Jin, and T.A. Grigalunas. 2004. "Technological Change and Depletion in Offshore Oil and Gas." Journal of Environmental Economics and Management 47 (2): 388-409. Managi, S. 2004. “Competitiveness and Environmental Policies for Agriculture: Testing the Porter Hypothesis." International Journal of Agricultural Resources, Governance and Ecology 3 (3/4): 310-324. Sakai, K., S. Managi, and K. Demura. 2004. “Complexity of Agricultural Commodity Cycle: A Chaotic Time Series Analysis." International Journal of Agricultural Resources, Governance and Ecology 3 (3/4): 266-287. Kaneko, S., Tanaka, K., T. Toyoda, and Managi, S. 2004. “Water Efficiency of Agricultural Production in China: Regional Comparison during 1999-2002." International Journal of Agricultural Resources, Governance and Ecology 3 (3/4): 231-251. Aoyagi, S., and S. Managi. 2004. “The Impact of Subsidies on Efficiency and Production: Empirical Test of Forestry in Japan." International Journal of Agricultural Resources, Governance and Ecology 3 (3/4): 216-230. Toyoda, T., and S. Managi. 2004. “Environmental Policies for Agriculture in Europe." International Journal of Agricultural Resources, Governance and Ecology 3 (3/4): 175-192. Kaneko, S and S. Managi. 2004. "Environmental Productivity in China." Economics Bulletin 17(2): 1-10. Managi, S. 2004. "Trade Liberalization and the Environment: Carbon Dioxide for 1960-1999." Economics Bulletin 17 (1): 1-6. Managi, S. and D. Karemera. 2004. "Input and Output Biased Technological Change in U.S. Agriculture." Applied Economics Letters 11 (5): 283-286. Managi, S. 2003. "Luenberger and Malmquist Productivity Indices in Japan, 1955-1995." Applied Economics Letters 10 (9): 581-584. Managi, S. 2003. "Japan’s Postwar Productivity Analyses." Empirical Economics Letters 2 (1). 22-30. Managi, S., and H. Imura. 1998. “Optimization of Urban Infrastructure Systems Considering Environmental Impact and Cost." Environmental Systems Research 26: 649-654. Behling, N., Williams, M.C., and Managi S. (2015). “Japan’s Fuel Cell and Hydrogen Society Policy: Creating Opportunities for Economic Growth”. Fuel Cell Development Information Center Journal (FCDIC) 15 (2): 59-68. Somanathan E., T. Sterner, T. Sugiyama, D. Chimanikire, J. Essandoh-Yeddu, S. Fifita, L. Goulder, A. Jaffe, X. Labandeira, S. Managi, C. Mitchell, J.P. Montero, F. Teng, and T. Zylicz, 2014: National and Sub-national Policies and Institutions. In: Climate Change 2014: Mitigation of Climate Change. Contribution of Working Group III to the Fifth Assessment Report of the Intergovernmental Panel on Climate Change [Edenhofer, O., R. Pichs-Madruga, Y. Sokona, E. Farahani, S. Kadner, K. Seyboth, A. Adler, I. Baum, S. Brunner, P. Eickemeier, B. Kriemann, J. Salvolainen, S. Schloemer, C. von Stechow, T. Zwickel and J. Minx (eds.)]. Page 1141-1206. Cambridge University Press, Cambridge, United Kingdom and New York, NY, USA. Matsukawa I., Tanaka K., Managi S. (2015). “Market Power in Bilateral Oligopoly: Experimental Evidence from Emissions Trading”. In Progress in Economics Research. Volume 31 Editors: Albert Tavidze, NOVA Publishers. Managi, S. (2015) Chapter 14 "Strengthening Scientists and Engineers Appreciation of the Real World", pp. 245-258. Tanaka, Yasumitsu, Norton, Michael, Li, Yu-You (Eds.) “Topical Themes in Energy and Resources: A Cross-Disciplinary Education and Training Program for Environmental Leaders", Springer. Managi, S., Zheng Zhang and Shinya Horie. 2015. Chapter 2: A real options approach to environmental R&Dproject evaluation, George Halkos (Eds.) Environment and Development Economics, ASERS Publishings ISBN: 978-606-93490-3-8. Qi, Y., Managi, S., and Tsurumi, T. 2013. "The Effectiveness of Pollution-Control Policies in China”, (Ed.) Joyce Yanyun Man, China’s Environmental Policy and Urban Development, Lincoln Institute of Land Policy, Cambridge USA. Managi, S. 2012. Introduction, S. Managi (Eds.) The Economics of Biodiversity and Ecosystem Services. Routledge, New York, USA. Kabaya, K. and S. Managi, 2012. Sustainable Use of Ecosystem Services, S. Managi (Eds.) The Economics of Biodiversity and Ecosystem Services. Routledge, New York, USA. Bhattacharya, T.R. and S. Managi, 2012. History of the CBD, S. Managi (Eds.) The Economics of Biodiversity and Ecosystem Services. Routledge, New York, USA. Tsurumi, T., K. Kuramashi and S. Managi, 2012. Determinants of Happiness: Environmental Degradation and Attachment to Nature, S. Managi (Eds.) The Economics of Biodiversity and Ecosystem Services. Routledge, New York, USA. Higashida, K., K. Tanaka and S. Managi, 2012. Evaluation of Offset Schemes with A Laboratory Experiment, S. Managi (Eds.) The Economics of Biodiversity and Ecosystem Services. Routledge, New York, USA. Kabaya, K. and S. Managi, 2012. Project Portfolio Analysis on The Global Ecosystem Restoration, S. Managi (Eds.) The Economics of Biodiversity and Ecosystem Services. Routledge, New York, USA. Aruga, K. and S. Managi, 2012. Diversity on Fisheries: Price Volatilities in Japanese Market, S. Managi (Eds.) The Economics of Biodiversity and Ecosystem Services. Routledge, New York, USA. Aruga, K. and S. Managi, 2012. Market Delineation among The Japanese Retail Fish Market, S. Managi (Eds.) The Economics of Biodiversity and Ecosystem Services. Routledge, New York, USA. Kabaya, K. and S. Managi, 2012. Towards Biodiversity Conservation, S. Managi (Eds.) The Economics of Biodiversity and Ecosystem Services. Routledge, New York, USA. Managi, S., 2011. "Promoting Green Technology Development in Japan: Policy Experience and Lessons for Korea”, Climate Change and Green Growth, Korea. Qi, Y., Managi, S., and Tsurumi, T. 2011. "Effectiveness of pollution control policies in China”, Lincoln Institute. Managi, S., 2010. "Green Innovation: Incentives for R&D, Technological change and Environment”, Green Korea 2010. Kumar, S, and Managi, S., 2009. "The Potential for LCE in India: Industry and Transportation Sectors”, Low Carbon Society, Earthscan. Ding, A, and Managi, S., 2009. "Assessment on the Effect of Pollution Abatement on Environmental Efficiency with Markov Chain Monte Carlo Simulation”, Sustainable Development and Planning, WIT Transactions on Ecology and the Environment 120, pp. 581-589, UK, Southampton. Managi, S., 2008. "Chapter 3.12. Productivity from Ecological Viewpoint”　in Social and Economic Potential of Sustainable Development. 206-212,　(Eds., Luc Hens and Leonid Melnyk), Summy University Book. Managi, S., 2007. "Pesticides, Regulations, and Productivity” in Pesticide Research Trends, (Eds., Frank Columbus), Nova Science Publishers 2007. Managi, S., 2007. "Chapter 25. Ecology and Productivity” in (International Textbook) (Eds., Leonid Melnyk and Luc Hens), Publishing & Trading House University Book 2007. (Translated in Russian) ГЛАВА25. ПРОДУКТИВНОСТЬ С ЭКОЛОГИЧЕСКОЙ ТОЧКИ ЗРЕНИЯ. pp. 622-641. Managi, S. 2006. “Energy Forecasting in USA: Policy Implications for China.” Collection of the Paper s of Shanghai Forum 2005, Fudan University Press, pp.165-181. Onozuka, Y., H. Uchida, T. Morita, S. Managi, 2010. Uninformed or Uninterested? Survey Examined Japanese Consumer' Interest in Sustainable Seafood, Global Aquaculture Advocate, 58-60. Ibiwoye, A., and Managi, S. 2010. "Productivity Change of Nigerian Insurance Companies: 1994-2005" Yokohama Management Review, 30(2): 243-254. Managi, S. 2007. “The impacts of rising energy prices on technological progress.” A study of Japanese corporate perspectives in an era of high oil prices, Research commissioned by the New Energy and Industrial Technology Development Organization (NEDO). Managi, S. and Kaneko, S. 2005. “Energy and Environmental Productivity Change in China.” 28th IAEE International Conference. Managi, S., Horio, M., Noda, R., and Sakai, T. 2004. “Optimal Technological Choices in Meeting Energy Policy Goals in Japan” 10th Asia Pacific Confederation of Chemical Engineering. Managi, S. Aoyagi, S. and Horio, M. 2004. “Evaluation and Policy Analysis of Japanese Forestry: Productivity Management and Energy Supply.” 10th Asia Pacific Confederation of Chemical Engineering. Managi, S. and Kaneko, S. 2004. “Analysis of Technologies in Economy and Environmental Sectors in China.” 10th Asia Pacific Confederation of Chemical Engineering. Managi, S.. 2004. “Resource Depletion and Environmental Policy: Hybrid Modeling of Economics and Engineering Approaches.” 10th Asia Pacific Confederation of Chemical Engineering. Karemera, D., Managi, S., and Davis, B. 2004. A Gravity Model Analysis of OECD Vegetable Trade Flows and Policy Implications. Third Global Conference on Business and Economics Proceedings. Managi, S. Aoyagi, S. and Horio, M. 2004. “Dynamic Analysis of Japanese Forestry for Renewable Energy Policies” The 8th World Renewable Energy Congress Proceedings. Managi, S. 2003. “Regional Integration and Environmental Policy: A Gravity Model Approach" The 2003 International Business & Economics Research Conference Proceedings. Managi, S. 2003. “Competitiveness and Environmental Regulations" Southeastern Institute of Operations Research and Management Science Conference Proceedings. Managi, S. 2003. “Trade, Technology, and Environment: Theory and Application in U.S. Agriculture" Southeastern Institute of Operations Research and Management Science Conference Proceedings. Managi, S., J.J. Opaluch, D. Jin, and T.A. Grigalunas. 2003. “Environmental Protection and Endogenous Technical Change: A Theoretical and Empirical Analysis" Technical Report for Environmental Protection Agency (EPA Agreement Number: R826610). _____ 2002. " An Analysis of the Productivity of Oil and Gas Operations in the Gulf of Mexico" International Association for Energy Economics North American Conference Proceedings. _____ 2002. "Forecasting the Energy Supply and Pollution: Policy Scenario Analysis" International Association for Energy Economics North American Conference Proceedings. Opaluch, J.J., S. Managi, D. Jin, and T.A. Grigalunas. 2002. "Environmental Protection and Endogenous. Technical Change. "2002 EPA Decision-Making and Valuation for Environmental Policy Progress Review Workshop Proceeding, Washington, DC. 山口臨太郎, 大久保和宣, 佐藤真行, 篭橋一輝, 馬奈木俊介 2016. 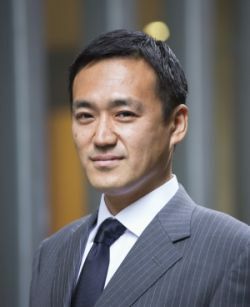 新しい富の指標計測：持続可能性計測研究の過去と未来, 環境経済・政策研究 (印刷中). 堀江進也、馬奈木俊介 2015. 持続可能な災害復興戦略, 環境経済・政策研究8(2) pp.35-38. 馬奈木俊介 2015. 政策運営に挑む 環境経済学: 多種多様な環境問題を分析する,『経済セミナー』「増刊号」「これからの経済学」pp.130-131. 田中健太、馬奈木俊介 2015. 特集論文 公益事業と競争. エネルギー産業における効果的な規制緩和のための技術の活用─新たな経済学的知見を活用した制度設計のあり方─, Nextcom誌22号 pp.16-22. 第6章 震災と経済学: 経済学は何を学び，何をすべきか, 座長 直井道生; パネリスト 齊藤誠, 大垣昌夫, 馬奈木俊介, 阿部修人, pp. 187-234, 神取 道宏, 澤田 康幸, 塩路 悦朗, 照山 博司編『現代経済学の潮流2015』東洋経済新報社. 伊藤豊, 馬奈木俊介, 2015. 社会基盤政策と環境政策, 勁草書房. 高崎経済大学地域政策研究センター編著. pp. 71-84. 畠瀬 和志, 馬奈木俊介, 2015. CO2排出シナリオの経済性評価について,　エネルギービジョン　地球温暖化抑制のシナリオ, 海文堂出版 湯原 哲夫、氏田 博士 編著. pp. 75-98. 馬奈木俊介. 2015. 3.4.2.5. 生物多様性及び生態系サービスの評価, 生物多様性及び生態系サービスの経済評価, 独立行政法人　科学技術振興機構（JST）研究開発戦略センター（CRDS）「2015 年　研究開発の俯瞰報告書（環境・エネルギー分野）」第3章「研究開発領域」, pp.541-548. 倉増啓, 鶴見哲也, 馬奈木俊介, 2014. 温暖化対策のコベネフィットに関する考察,　環境共生 25: 3-11. 馬奈木俊介, 2014.これからの市場と環境・エネルギー技術, 『NETT』一般財団法人北海道東北地域経済総合研究所機関紙　No.85. 2014 Summer pp.18-21. 馬奈木俊介, 2014. 巻頭言「東西南北」生物多様性との共存『農業と経済』2014年10月号 80 (9): 3. 馬奈木俊介, 2014.環境対策の経済的手法, 東北大学広報誌　まなびの杜 2014 夏号, No 68. 05. 馬奈木俊介, 2014.持続可能社会へ向けた新しい環境経営指標, 環境知性を暮らしと仕事に生かす　環境会議, 宣伝会議 2014春,194-199. 吉田友美，馬奈木俊介, 2013. 持続可能な社会を支援するシステム分析, 環境科学会誌26(6): 538-542. 齊藤大地，堀江進也，馬奈木俊介, 2013. 持続可能な未来都市経済における資源循環戦略, 環境科学会誌26(6): 556-561. 観山恵理子, Yang Jue，馬奈木俊介, 2013. 持続可能性評価のためのグローバル・ データ分析―多重代入法を用いたEKCの推計とGSの算出―, 環境科学会誌26(6): 579-586. 倉増啓, 馬奈木俊介, 2013. 持続可能な発展へ─グリーン市場のための新指標, 環境情報科学42 (3) : 25-30. 石鍋渚, 馬奈木俊介, 2013. 世界の化学製品製造業47企業によるGHG排出量を考慮した生産効率性分析, 環境システム研究論文発表会講演集41: 1-5. 田中健太, 大塚美保, 馬奈木俊介, 2013. 津波被災農地を対象とした土壌浄化方法に対する消費者選好の分析, 環境システム研究論文発表会講演集41: 227-232. 関藤麻衣, 田中健太, 馬奈木俊介, 金子慎治, 2013. 太陽光発電システム購入の意思決定速度に関する実証分析, 環境システム研究論文発表会講演集41: 285-290. 馬奈木俊介. 2013. グリーン･エコノミーと技術進歩. 環境経済・政策研究 6 (1): 1-5. 倉増啓,馬奈木俊介, 2013. 主観的幸福度と環境保護,　環境研究 169: 53-59. 尾沼広基, 宮本拓郎, 馬奈木俊介, 2012. 日本の有害大気汚染物質自主管理計画におけるジクロロメタン排出量削減効果の実証分析, 環境システム研究論文集40, 189-196. 尾沼広基, 馬奈木俊介, 2012. 人間は災害を克服できるのか？, 環境システム研究論文発表会講演集40, 71-74. 藤井秀道, 佐々木稔, 馬奈木俊介, 金子慎治. 2012. 環境規制と廃水処理技術による水質改善の発展段階の特定－自己組織化マップによる実証分析, 環境システム研究論文発表会講演集40 21-27. 岩田和之、馬奈木俊介、金子慎治, 2012. 省エネ住宅設備の購入行動の経済分析,　国際協力研究誌 19(1):1-12. 倉増啓, 鶴見哲也, 馬奈木俊介, 2012. 国内でのサーベイデータを用いた幸福度と環境保護への支払意思に関する計量分析, 環境共生 21: 30-37. 関藤麻衣, 馬奈木俊介, 金子慎治, 馬奈木俊介, 2012. CVMによる消費者の心理的要因を考慮した環境配慮製品・政策・ライフスタイルに関する需要分析, 環境共生21:46-55. 田中健太, 松川勇, 馬奈木俊介, 2012. 生産性分析による電力自由化と安定供給に関する分析, 社会経済研究. 藤井秀道, 馬奈木俊介, 2012. 国内製造業10業種のCO2排出量を考慮した生産性分析, 社会経済研究. 伊藤豊, 馬奈木俊介, 2012. 原油価格の変動による排出権価格への影響―VARモデルによる分析―,　地域学研究. 馬奈木俊介, 2012. 将来自動車と高速道路のあり方,　高速道路と自動車 55(4): 12. 蒲谷景, 馬奈木俊介, 2012. グローバルな生態系復元に関するプロジェクト・ポートフォリオ分析,　環境共生 19. 馬奈木俊介, 2012. 持続可能な発展のための経済分析手法の提案と実証,　環境科学会誌 25(1): 48-50. 岩田和之、藤井秀道、馬奈木俊介, 2012. 環境規制の対象地域外へ影響：自動車NOx・PM 法の車種規制を事例に,　環境経済政策研究 5(1): 21-33. 森田玉雪, 馬奈木俊介, 岡本薫, 2012. 保護者が求める小中学校 ―良い義務教育学校への支払い意欲―,　山梨県立大学国際政策学部紀要. 尾沼広基、藤井秀道、馬奈木俊介, 2011. CO2排出量変化要因の多国間比較－鉄鋼業と機械製造業の事例研究,　環境研究発表会論文集 25: 371-376. 馬奈木俊介, 2011. 低炭素社会への道：政策とビジネスとのリンケージ,　公営企業 6: 18-24. 藤井秀道、八木迪幸、馬奈木俊介、金子慎治, 2011. 国内製造業の環境技術特許と財務パフォーマンスの因果関係性分析,　環境科学会誌 24(2): 114-122. 馬奈木俊介, 2011.生物多様性と生態系サービスの経済分析, 季刊 環境研究, 第161 号, 87-94. 森田玉雪, 馬奈木俊介, 2011. 自治体における教育効果の要因分析,　山梨県立大学国際政策学部紀要, 6: 129-138. 鶴見哲也, 馬奈木俊介, 2011. 経済成長と環境：実証的観点から,　細田衛士(編集), 『環境経済学』ミネルヴァ書房. 岩田和之、馬奈木俊介、有村俊秀, 2011. 企業の自主的取り組みと環境経営,　細田衛士(編集), 『環境経済学』ミネルヴァ書房. 藤井秀道, 伊藤豊,馬奈木俊介, 2010. OECD23カ国の化学製品製造業におけるCO2排出量を考慮した環境生産性分析,　環境情報科学論文集 24: 457-462. 馬奈木俊介, 田中健太, 鶴見哲也, 2010. 化石燃料・金属鉱物資源の効率的利用可能性：資源生産性推計の提案,　環境システム研究論文発表会講演集: 139-144. 田中健太,馬奈木俊介, 2010. エコカー減税のCO2削減の効果,　環境システム研究論文発表会講演集: 333-338. 伊藤豊,馬奈木俊介, 2010. 燃料電池自動車と電気自動車の普及に伴う費用便益分析,　環境システム研究論文発表会講演集: 271-276. Yagi, M., K. Tanaka, S. Managi, S. Kaneko, H. Shirakawa. 2010. Water Efficiency of Industrial Sector in China ,　環境システム研究論文発表会講演集: 221-226. 藤井秀道, 馬奈木俊介, 2010. 米国製造業の汚染対策費用と化学物質削減対策,　環境システム研究論文発表会講演集: 227-232. 馬奈木俊介, 2010. 【シンクタンクリポート】低炭素社会に向けた技術マネジメント戦略（下）Fuji Sankei Business i. 6/19. 馬奈木俊介, 2010. 【シンクタンクリポート】低炭素社会に向けた技術マネジメント戦略（上）Fuji Sankei Business i. 6/18. 馬奈木俊介. 2010.望ましい国内排出量取引制度の提案, RIETI Report No.119., Proposal for a Desirable Domestic Emissions Trading System. 岩田和之,馬奈木俊介, 2010. 環境政策における市場の機能と予算配分,　環境科学会誌 23(6): 511-513. 馬奈木俊介,石川雅紀,山口恵子,小島理沙, 2010. 環境にやさしい商品による差別化は可能か？,　環境科学会誌 23(5):394-399. 馬奈木俊介, 石川雅紀, 山口恵子, 小島理沙. 2010. 環境にやさしい商品による差別化は可能か？,　環境科学会誌. 倉増啓, 鶴見哲也, 馬奈木俊介, 林希一郎. 2010. 主観的幸福度指標と環境汚染：国内でのサーベイデータを用いた計量分析,　環境科学会誌. 鶴見哲也, 馬奈木俊介, 日引聡. 2010. 国際貿易とエネルギー利用, 環境経済・政策研究. 伊藤豊, 馬奈木俊介, 松田あきみ. 2010. DEAによるファンド・オブ・ファンズのポートフォリオ分析,　横浜国際社会科学研究. 沼田大輔, 馬奈木俊介. 2010. デポジット制度がリユースペットボトルの需要に及ぼす影響,　環境科学会誌. 馬奈木俊介, 2010. CO2を減らせ. 温暖化対策の進展と原子力発電ビジネス, Enelogy, 4: 6-7. 大西学, 馬奈木俊介. 2010. ITQの検証　?ニュージーランドにおける実証分析?, 寶多康弘，馬奈木俊介(編集), 『資源経済学への招待―ケーススタディとしての水産業』ミネルヴァ書房. 森田玉雪, 馬奈木俊介. 2010. 水産エコラベリングの発展可能性―ウェブ調査による需要分析, 寶多康弘，馬奈木俊介(編集), 『資源経済学への招待―ケーススタディとしての水産業』ミネルヴァ書房. 八木迪幸, 馬奈木俊介. 2010. 日本の漁業における費用削減の可能性, 寶多康弘，馬奈木俊介(編集), 『資源経済学への招待―ケーススタディとしての水産業』ミネルヴァ書房. 横山知沙, 馬奈木俊介. 2010. 海面養殖の可能性, 寶多康弘，馬奈木俊介(編集), 『資源経済学への招待―ケーススタディとしての水産業』ミネルヴァ書房. 田中健太, 馬奈木俊介. 2010. エネルギー価格と技術進歩：距離関数を利用した世界規模での分析, 横浜国際社会科学研究. 伊藤豊, 馬奈木俊介, 松田あきみ. 2009. SRIファンドのパフォーマンス分析,　環境経済・政策研究 2 (2): 1-11. 伊藤豊, 鶴見哲也, 馬奈木俊介. 2009. バイオ燃料の貿易分析,　環境システム研究論文発表会講演集: 181-185. 伊藤豊, 馬奈木俊介. 2009. 環境記事が企業の株価に与える影響,　環境システム研究論文発表会講演集: 163-168. 岩田愛美, 田中健太, 馬奈木俊介. 2009. 化学物質排出量の決定要因分析,　環境システム研究論文発表会講演集: 107-111. 田中健太, 馬奈木俊介, 藤井秀道, 黒沢厚志. 2009. セクター別アプローチ導入によるCO2削減効果‐鉄鋼業と紙・パルプ産業の事例‐,　環境システム研究論文発表会講演集: 275-279. 伊藤豊, 馬奈木俊介. 2009. 造林補助金が林業に与える影響,　横浜国際社会科学研究 14 (3): 43-48. 倉増啓, 鶴見哲也, 馬奈木俊介. 2009. 幸福と環境水準～主観的幸福度指標の適用～,　環境科学会誌 22 (5): 362-369. 八木迪幸, 馬奈木俊介. 2009. 日本漁業における費用削減の可能性：Catch Limitの実証分析,　日本水産学会誌, 75(6): 1079-1080. 馬奈木俊介, 田中健太. 2009. ガス産業における環境効率性, 都市ガス産業の総合分析, 213-228, 竹中康治(編集), NTT出版. 伊藤豊, 馬奈木俊介, 寺園 淳. 2008. 環境経済学の到達点と今後, 環境科学会誌 22(2): 103-111. 馬奈木俊介. 2009. クリーン開発メカニズムの経済的分析, 横浜経営研究 29(4). 馬奈木俊介, 山本佳世子. 2008. 環境科学の到達点と今後, 環境科学会誌 21: 479-480. 田中健太, 中野牧子, 馬奈木俊介. 2008. 公共交通機関の有効活用によるCO2削減の可能性, 環境経済・政策研究 1(2): 76-87. 馬奈木俊介, 八木迪幸. 2008. CSR と企業評価に関する分析, 環境科学会誌 21(3): 235-238. 赤尾健一, 草薙真一, 馬奈木俊介. 2008. 温暖化対策の中でのエネルギー生産・節約の経済評価, 環境経済・政策研究 1(1): 65-78. 八木迪幸, 馬奈木俊介. 2008. エネルギー技術進歩の要因分析, 計画行政 31(2): 79-84. 鶴見哲也, 馬奈木俊介, 日引聡. 2008. 環境クズネッツ曲線仮説の再検討, 計画行政 31(2): 37-44. 八木迪幸, 馬奈木俊介. 2008. 環境規制と技術イノベーション: SOX･NOXにおける特許分析, 環境科学会誌 21(1): 3-15. 馬奈木俊介, 2008. 排出権取引制度の評価, 横浜経営研究, 28(3-4): 203-209. 鶴見哲也, 馬奈木俊介, 日引聡. 2007. 国際貿易と環境保護―浮遊粒子状物質を対象として―, 三田学会雑誌 100(3): 109-127. 馬奈木俊介. 2007. 経済学からみたCSR 「企業の立場から考えるCSR活動」 経済セミナー, ６月号, 日本評論社. 馬奈木俊介. 2007. 7月. CSR経営の実証分析, 第５章. 金融機関におけるCSR活動や環境配慮行動のあり方. pp. 69-84金融調査研究会報告書(38) /全国銀行協会. 馬奈木俊介, 日引聡. 2006. 貿易自由化がSOx排出へ及ぼす影響の実証研究. 貿易と環境研究会/経済産業研究所. 中野牧子, 馬奈木俊介. 2007. 電力産業における規制緩和の効果の検証, 横浜経営研究. 27(3-4) . 中野牧子, 馬奈木俊介. 2006. ISO14001環境マネジメントシステムとイノベーション, (共著), 環境経営のイノベーション, 天野明弘他編集, 生産性出版. 中野牧子, 馬奈木俊介. 2006. 環境マネジメントシステムの導入が生産性に与える影響, 環境科学会誌 19(5) 385-395. 藤井秀道, 金子慎治, 金原達夫, 馬奈木俊介. 2006. CO2排出量を考慮した環境生産性の計測－国内製造業81社の実証分析, 第34回環境システム研究論文集, 175-181. 藤井秀道, 金子慎治, 馬奈木俊介. 2005. 中国における環境効率改善の計測と評価：工業用水の事例, 第33回環境システム研究論文発表会講演集, 85-90. Institute for Future Environments (IFS) Distinguished Visitor Lecture, Intergovernmental Panel on Climate Change and Climate Policy, 11 September, 2015. QUT, Brisbane. Near-Term Prospects, Fuel Cell Seminar and Energy Exhibition, 16-19 November 2015 Los Angeles, USA. Sources of Airline Productivity from Carbon Emissions: An Analysis of Operational Performance under Good and Bad Outputs, Air Transport Research Society (ATRS) World Conference, Singapore, July 2-5, 2015. Second Japan-China (JST-CAS) Workshop on New Environmentally Sustainable Systems for Japan and China. "Environmental Interdisciplinary Project Analsysis: Case Study", April 18th, 2015, Fuji, Japan. "Integrating Climate and Ecosystem Servise Modeling in Global", Education for Sustainability in Asia, Nanyang Executive Centre, Nanyang Technological University, Singapore 02/5-6, 2015. Designing Market and Innovation Incentives for Climate Change Mitigation, The International Symposium on The Market-oriented Green and Low-carbon Development, Center of Hubei Cooperative Innovation For Emissions Trading System, Organized by Hubei University of Economics, Economic Research Journal, CASS. Wuhan City, Hubei Province, China, September 12-13, 2014 (Keynote Speech). Managing waste as a resource: economic and policy perspectives in international domains, "Trade in recyclable waste", Dept. of Economics and Management, Via Voltapaletto 11, Ferrara, Italy (June 23-24 2014). "Building Effective Agreements in Climate Negotiations toward Sustainable Growth",on the topic of "National and Sub-national Policies and Institutions of Climate Change Mitigations". 7-8 July 2014 in Tokyo, Japan. Asian Development Bank Institute (ADBI). "Sustainability and Interdisciplinary: Data Analysis", China-Japan Interdisciplinary Young Scietists' Academic Salon, 2010, 2012-2014 (June 16-17, Beijing) (Keynote Speech). Shanghai Forum 2014: Economic Globalization and the Choice of Aisa. "Energy and Climate Policy in Japan", at Policy Club 1: Green Growth: Starategies for Energy Restructueing Revolution, May 24.; also Chair at Session "Global Climate Governnance and Regional Environmental Improvement", May 25, 2014. Shanghai, China. Energy Policy, Media Representations, and Public Perceptions of Nuclear Power after the Fukushima Disaster, “The impact of Fukushima on the Japan energy sector”. Cardiff University, UK. 19-20 September 2013. Natural Disaster in Japan: Economy, Energy and Environment, Asia Foundation Lecture Series of Nanyang Technological University, Singapole, 12 September 2013. Bridging Sustainability in Research to Pedagogy: Theory and Practice" Conference, Nanyang Technological University, Singapore 19 April 2013. European Association of Environmental and Resource Economics Annual Conference, 2004, 2011, 2013. Japan after 3.11: Change and Hope from the Center of Triple Disasters, University of Hawaii, March 10, 2013. Shanghai Forum, Global Energy, China, 2005; Economic Globalization and the Choice of Asia: Strategies for 2011-2020, 2012, May 26-28, 2012, Fudan University. Taiwan Agricultural and Resource Economics Association, Taiwan, 2011 (Keynote Speech). European Association of Environmental and Resource Economics Annual Conference, 2004, 2011. Asian Meeting of Econometric Society (AMES), The Econometric Society, Korea, 2011. The North American Association of Fisheries Economists (NAAFE) Forum 2011, USA. UNU-IAS Seminar Series on Challenges and Opportunities of Green Innovations, Kanagawa, Japan, June 2011. ERIA‐IDE‐UNIDO Expert Group Meeting Green Economy, Sustainable Innovation, and Structural Change, Challenges and Opportunities, Jakarta, Indonesia, March, 2011. Symposium on Development within A Low Carbon World, “Challenges and Opportunities on Green Innovations for Low Carbon Development, Hiroshima University, February, 2011. ZEW Workshop "The Economics of Green IT", The Centre for European Economic Research, Mannheim, German, 2010. COP10. The Economics of Ecosystems and Biodiversity study (TEEB) - D0 Session at Nagoya, 2010. Future Prospects and Challenges for the International Energy Market, University of Tokyo, 2010. Annual Symposium of Japanese-German Frontiers of Science (JGFoS), Symposium, Sustainability: Challenges for (Social) Sciences, Introductory Speaker, 2008: Program Group Member (2008-2011). The Science and Technology in Society (STS) forum, 2010. The Porter Hypothesis at 20, How Can Environmental Regulation Enhance Innovation and Competitiveness?, Montreal, 2010. Urban Development and the Environment in China, Boston, 2010. 2006, 2009 Allied Social Science Associations Annual Meeting, American Economic Association (ASSA/AEA). Japanese Economic Association (JEA), 2004, 2005, 2007-2010.
International Symposium on Environment, Identities and Mediterranean Area 2006 (ISEIM’2006), France, 2006. Quantified Eco-Efficiency for Sustainability Conference, Egmond aan Zee, the Netherlands, 28 - 30 June, 2006. The potential of CSR to support the implementation of the EU Lisbon Strategy, Milano, Italy, 22-23 June 2006.
International Society of Industrial Ecology 2005 Conference, Sweden, 2005. Executive Workshop of Biomass Energy and Regional Development/Restoration in Asia, Yogyakarta, Indonesia, February 2005. The Japan Economic Policy Association, 3rd International Conference, Tokyo, Japan, November 2004. 10th Asia Pacific Confederation of Chemical Engineering, Kitakyusyu. Japan. October 2004 (4 papers). Japanese Economic Association Fall Conference, Tokyo. Japan. September 2004. Public Economic Theory Peking, China, August, 2004. Workshop on Sustainability and Survival Paths over 100 Years, Side Event of WREC-8, August, Denver, CO. USA. 2004 . World Renewable Energy Congress, August ? September, Denver, CO. USA. 2004 (2 papers). International Institute of Fisheries Economics and Trade (IIFET) 2004 Japan, Tokyo, July, 2004.
International Society for Ecological Economics Biennial Conference, July, Montreal, Canada 2004. Japanese Economic Association Spring Conference, Tokyo. Japan. June 2004. North American Meetings of the Regional Science Association International, November, Philadelphia, PA. USA 2003 (2 papers). Institute of Operations Research and Management Science (INFORMS) Annual Meeting, October. Atlanta, GA, USA 2003.
International Business & Economics Research Conference, October, Las Vegas, NV, USA 2003. Southeastern InfORMS Conference, October, Mytle Beach, SC, USA 2003 (2 papers). Heartland Environmental and Resource Economics Workshop, Fifth Annual, September, Ames, IA, USA 2003. Colorado University Environmental and Resource Economics Workshop, Fifth Annual, July, Boulder, CO, USA 2003.
International Society for Industrial Ecology Second International Conference, June/July, Ann Arbor, MI, USA 2003. U.S. Society for Ecological Economics Second Biennial Conference, May, Saratoga, NY, USA 2003. Advanced Workshop in Regulation and Competition, 22nd Annual Eastern Conference, May, Skytop, PA, USA 2003. World Congress of Environmental & Resource Economists, Monterey, CA, USA June. 2002 (3 papers). North American Productivity Workshop, Schenectady, NY, USA June. 2002. Symposium for Environmental Systems Research, June 1998, Osaka, Japan. Western Japan Association of Civil Engineering Annual Meeting, Kumamoto, Japan, Feb. 1998. Kyusyu Sangyo University, Japan, 2011. University of Hawaii, USA, 2010. Tohoku University, Japan, 2008, 2009, 2010. National Taiwan University, Taiwan, 2009. Aoyama Gakuin University, Japan, 2008. National Economic Research Associates, USA 2002. World Bank, Short Term Consultant, November 23, 2009 to March 31, 2010. IGES Fellow, 諮問委員, 2008 September- present. 日独先端科学（JGFoS）Symposium, Sustainability: Challenges for (Social) Sciences, Introductory Speaker, 平成20年10月31日-2日 (2008), Program Group Member (2008-2009). IGES Fellow, 諮問委員, 2008 September-2010 March. 日経エコロジー, 2009. 8. ペットボトルのリユースに課題　店頭での回収率は50％と低迷. 日経エコロジー, 2009. 4.トレンド・アンド・ニュース：3R. ペットボトルのリユース再開. 日経エコロジー, 2009. 1. 特集　日本の３Ｒ政策を問う. リサイクル法再生論: 揺らぐ法制度. 日経エコロジー, 2008. 11. 特集　容器包装で攻める. ブランド強化: エコ容器を訴求し差別化する. 2008 Best Paper Award, GABER.